Tess and Sam work on the same newspaper and don't like each other very much. At least the first time, because they eventually fall in love and get married. But Tess is a very active woman and one of the most famous feminists in the country; she is even elected as "the woman of the year." Being busy all the time, she forgets how to really be a woman and Sam begins to feel neglected. 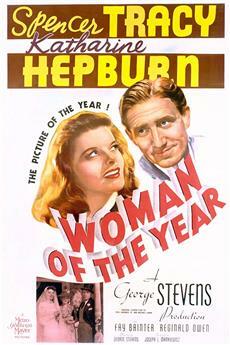 Legend has it that Spencer Tracy said he would cut Katharine Hepburn down to size when upon meeting her in heels for the first time on the set of Woman of the Year.<br/><br/>I think that&#39;s what the authors of the screenplay Michael Kanin and Ring Lardner, Jr., had in mind in the script as well. As mismatched a pair if there ever were, he a down to earth sports columnist and she a world famous news reporter and commentator, fall in love. <br/><br/>As her celebrity is much wider known than his, Hepburn expects to have it all her own way. The rest of the film is concerned with their efforts to adjust to each other.<br/><br/>Katharine Hepburn&#39;s character is based on liberal radio commentator and reporter Dorothy Thompson. Not surprising that no one has mentioned that yet in all the reviews so far. The giveaway is Tracy first hearing her voice on the radio while in his favorite sports bar on Information Please where Thompson was a guest. Her career petered out after World War II, so she&#39;s not known to today&#39;s audience.<br/><br/>Writers Kanin and Lardner had as a model for the Tracy character Lardner&#39;s own father. Ring Lardner was one the celebrated sports writers of the first half of the 20th century, a great reporter and humorist. 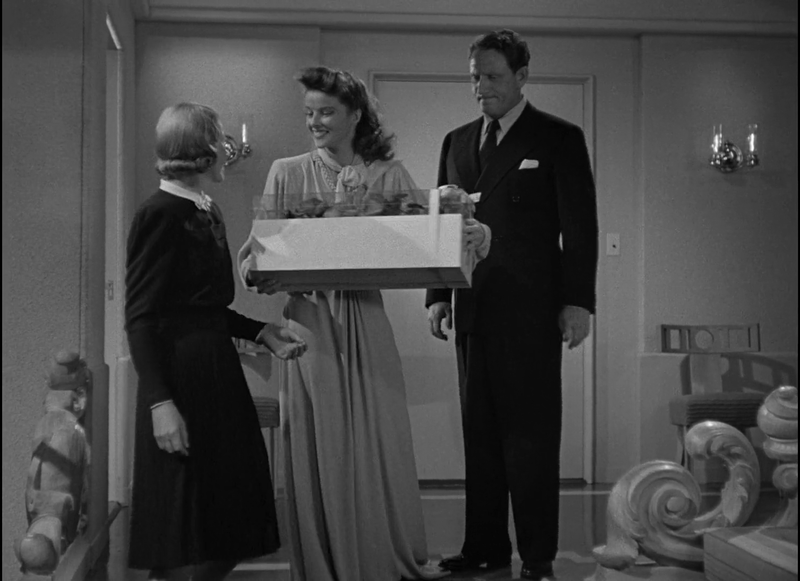 While Tracy is not as witty as Ring Lardner, he is definitely as down to earth.<br/><br/>My favorite scene is Spencer Tracy trying to feel comfortable at an international gathering at her place, looking even for people who speak English. Of course she&#39;s equally as uncomfortable at William Bendix&#39;s bar where Tracy likes to hang out. <br/><br/>Hepburn, comfortable in her celebrity, just sails through life, getting awards here and there. When she thinks of a Greek orphan kid she gets pressured into taking in as another award, that&#39;s when Tracy puts his foot down.<br/><br/>Based on some real celebrities, Tracy and Hepburn become those celebrities in the flesh. It&#39;s an awesome debut for what turned out to be a great screen team.<br/><br/>Look for fine performances by William Bendix, Fay Bainter, Minor Watson and Dan Tobin. Kanin and Lardner copped the film&#39;s only Oscar for an original screenplay. Hepburn was nominated for Best Actress, but lost to Greer Garson in Mrs. Miniver.<br/><br/>If Woman of the Year were remade today, the producers might consider making the woman the sports reporter. Seeing Jeannie Zelasko covering the World Series this year, I&#39;m sure it would work very well. Right off I have to say that this is at once the funniest, most romantic, most intelligent &amp; most realistic depiction of a romantic relationship I have ever seen. (For perspective, I&#39;m a 60 year-old multi-lingual film buff).<br/><br/>Whatever kind of film George Stevens tried, he did it to perfection. Witness Gunga Din, Swingtime &amp; A Place in the Sun to mention just a few. It was like watching something by Hawks, Lubitch &amp; Sturges all rolled into one.<br/><br/>Hepburn never appeared softer, more vulnerable, less mannered than in Woman of the Year. I fall in love with her all over again every time I watch it, which is surprisingly often, especially in the scene where she carries on about Oswald Spengler while plastered under the table.<br/><br/>Then there&#39;s Tracy, the most honest actor who ever lived. But not just that: there was his ability to delve seemingly without effort into an infinite bag of gestures &amp; expressions &amp; tones &amp; just plain old-fashioned but highly manifest wisdom &amp; come up with the most richly nuanced guy ever depicted on-screen. Tracy was a giant, a genius, the Rembrandt of film.<br/><br/>A delightful, dazzlingly perfect grown-up movie. WOMAN OF THE YEAR stars Spencer Tracy and Katharine Hepburn in their first film together, his Sam Craig matched with her Tess Harding; his subtle, underplaying acting style with her stylised, personality-driven performance. It&#39;s an acting tour de force, to be sure--the two of them make the best of (and often far surpass) a somewhat limited script and interesting but stiffly played-out plot. 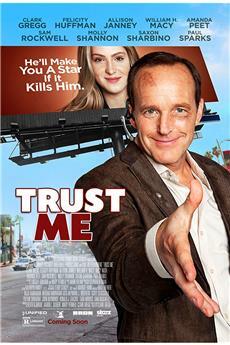 In fact, their chemistry in this film is palpable. When someone speaks of cinematic magic, of chemistry sparking off (if not engulfing) the screen, *this*--Tracy, Hepburn, Tracy and Hepburn--is what they are talking about, even back in the days of the Hays Code. It&#39;s all mostly chaste kisses and long eye contact, often carried out in semi-darkness, and yet the two main players establish a relationship more sexual and believable than so many of the relationships portrayed in films these days. (Take the tiny moment in the cab--not the drunk scene that everyone loves, but that moment when he says, &quot;I&#39;ve got to get something off my chest&quot;, and she mumbles, &quot;I&#39;m too heavy&quot;, and raises her head. When he gently pulls it back to where you feel it would always belong, you know that these actors are doing something incredible. 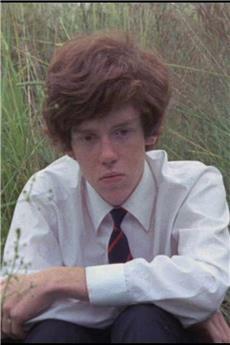 )<br/><br/>This isn&#39;t to say that the film is without flaws. Far from it. The writing is clipped and most of the words on their own have little spark. (It takes Spencer Tracy&#39;s glowering eyes, or Katharine Hepburn&#39;s radiant smile, to add life to those words.) Even the relationship between Sam and Tess isn&#39;t set up in the most fluid of ways, leap-frogging from moment to moment, from scene to scene, without quite making the necessary connections--if you believe in Sam and Tess together (and I do), it&#39;s only because you can truly believe in Tracy and Hepburn together. The film occasionally feels like a play cobbled together from various scenes, until it hits its stride midway through the film (after Sam and Tess get married).<br/><br/>Script aside, the plot is interesting, and certainly quite radical for its time. 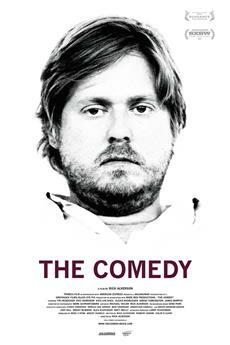 However, the ending (a hilarious set-piece of comedy though it might be) leaves things largely unresolved. 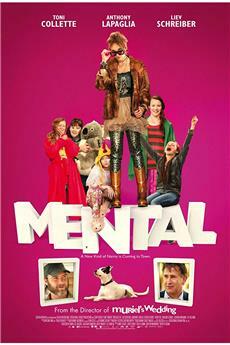 We have a wonderful, strong female character in Tess Harding--this is clear enough in the first half of the film. But her strength, her forceful personality and go-getting attitude, become her weakness in the second half, so much so that she becomes almost a caricature of the original Tess Harding. Some of the things she does (her &#39;humanitarian&#39; wholesale adoption of Chris, for example; her rudeness and blithe ignorance of Sam&#39;s worth) are truly reprehensible, and the point the writers are making is clear--a female who tries too hard to be a male loses her feminity, and cannot ever really be fulfilled. In this sense, the gender politics, as other commenters have pointed out, is &#39;deplorable&#39;.<br/><br/>And yet there is a grain of truth in it; if one *can* be brought to believe that Tess could really treat Chris and Sam in the way she does, one can&#39;t help but applaud Sam&#39;s decision to leave. The role reversal is almost complete--Sam himself comments on the fact that she &#39;makes love&#39; to him to smooth over their quarrels. She charges on her own merry way without asking him about his life, his opinion, or anything that remotely matters to him. Their union was neither perfect, nor a marriage, as he justifiably charges.<br/><br/>The uneasy tension between the admirable and the deplorable Tess Hardings comes at the end: you most certainly get the impression that the film itself didn&#39;t quite know whether or not to affirm the Tess character. 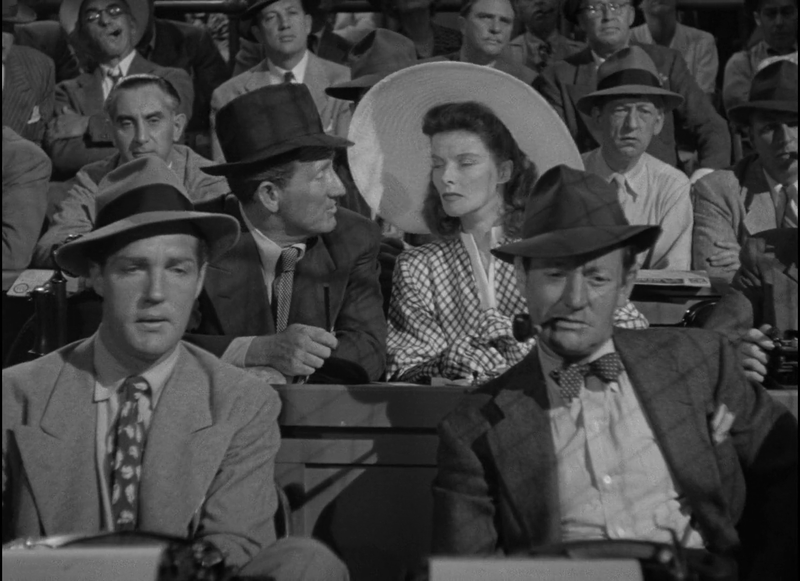 In fact, by all accounts (even Hepburn&#39;s own), the film originally ended with an unqualified affirmation of Tess&#39;s character--promising to be more involved in her husband&#39;s life, Tess is depicted at a baseball game, cheering alongside Sam, getting louder and louder and rising higher in her seat above him. 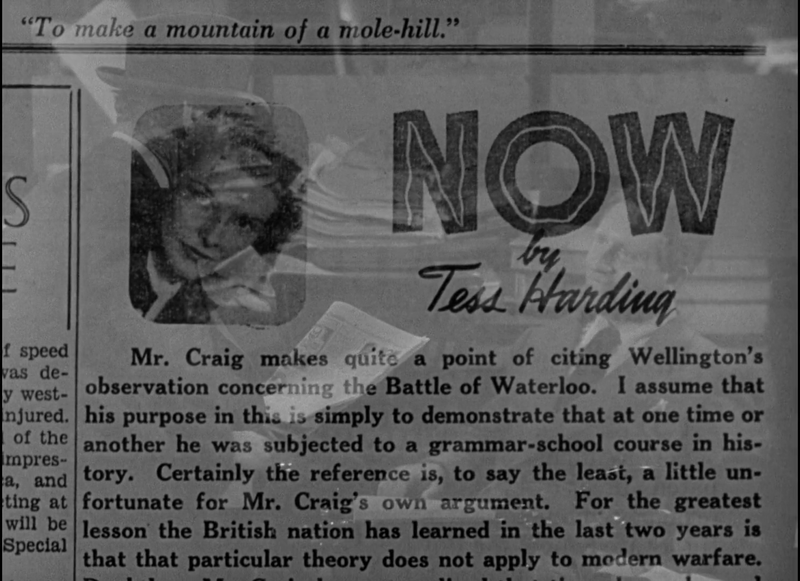 It was both an affirmation of Tess the character, and a lingering question mark about the Harding-Craig reunion. <br/><br/>Test audiences didn&#39;t like it. (Apparently, it was the *women* who felt threatened by the character Hepburn portrayed on screen. She was too strong, too beautiful, too *everything* all at once. )<br/><br/>What transpired in the end, then, was a re-shot ending that muddied the moral of the film in suggesting that women could not really be fulfilled without their men. Sam wants her to be Tess Harding Craig; she wants to be Mrs. Craig; she wants to change; he thinks (and probably knows) she can&#39;t. The logical ending would have seen Tess, cast as she had been in the traditional masculine role, wooing Sam back, only to cast doubt over whether her atypical (for the time) strength as a female would unequivocally threaten the typical male figure as embodied in Tracy&#39;s character. The original ending would have better borne out the logic of the film--a valuable DVD extra if ever there was one. You can perhaps applaud the spirit of the film, without accepting the fact that it seems to let that spirit fade away in the end.<br/><br/>So what is there of worth in WOMAN OF THE YEAR, with its original ending gone, and its revolutionary potential muted by a slapstick scene in a kitchen with exploding waffles, too much coffee, and a woman who just can&#39;t seem to figure out how to separate eggs? Well, the answer is simple, and it&#39;s already been given. This is a movie to watch, and to watch *again*, because it is the first cinematic pairing of Spencer Tracy and Katharine Hepburn. For a couple of hours, you&#39;re allowed to watch these two great, mythical actors playing two people in love... while falling in love themselves. That is most certainly a rare privilege, if ever there was one.